The Seven Variations of the Iroha - Handsome design from a Toyokuni III series pairing kabuki scenes with the kana syllabary in iroha order. These lively images feature expressive figures in handsomely detailed settings. 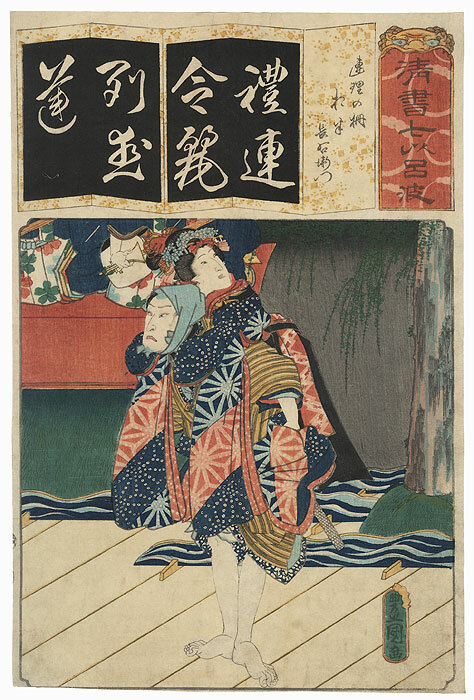 Attractively colored, many include deluxe printing techniques such as bokashi shading or embossing. 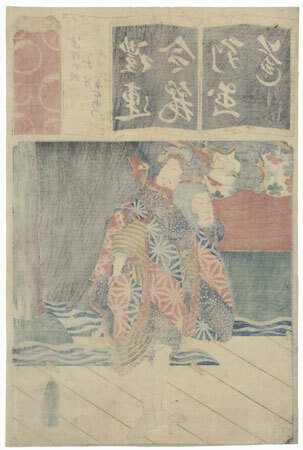 The red title cartouche at upper right appears to emerge from a demon's mouth, with a text panel next to it in the form of a folding screen. 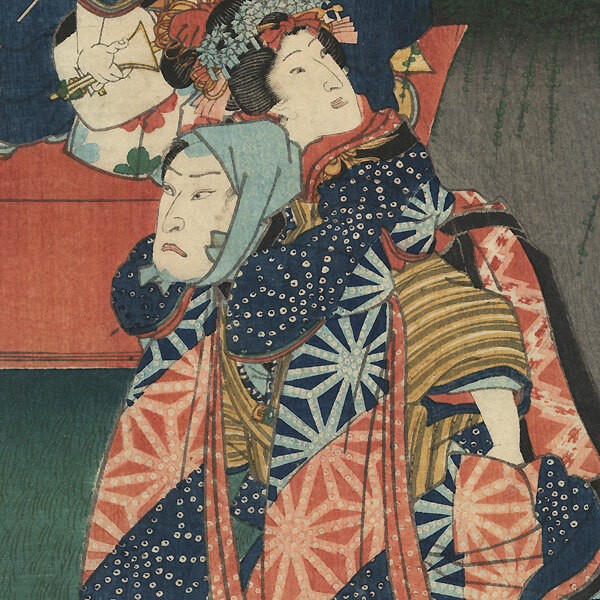 A great example of Toyokuni III's fine kabuki prints. Condition - This print with excellent detail as shown. Slight soiling, a few creases. Please see photos for details. Good overall.